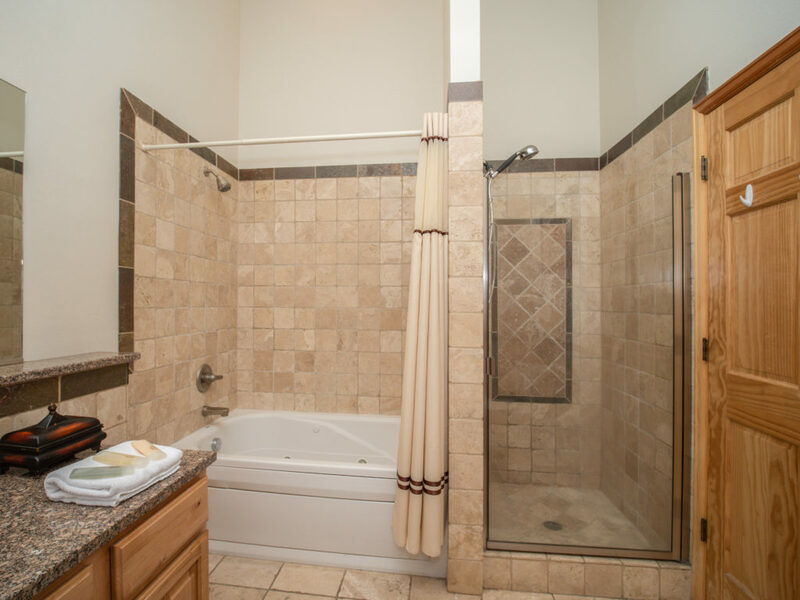 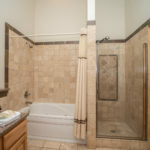 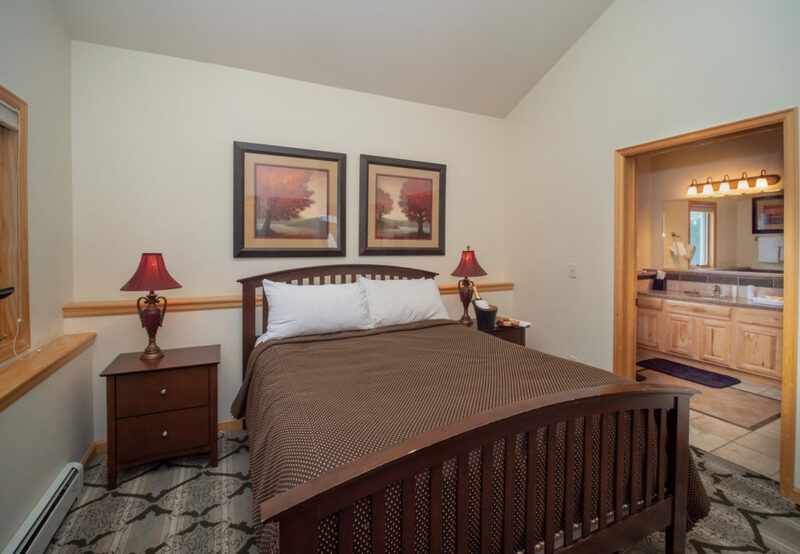 This comfortable one-bedroom condo sits as an end-unit, with easy access from parking, and is wheelchair accessible. 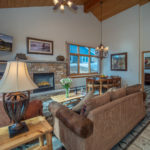 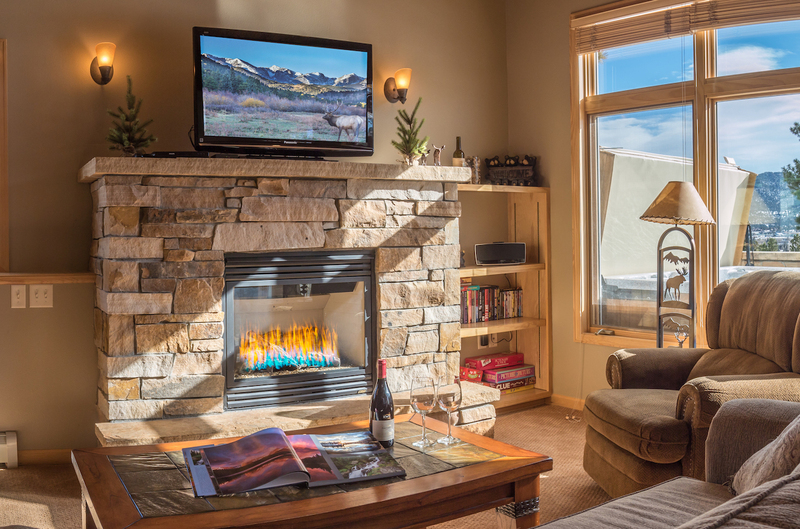 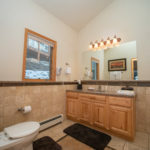 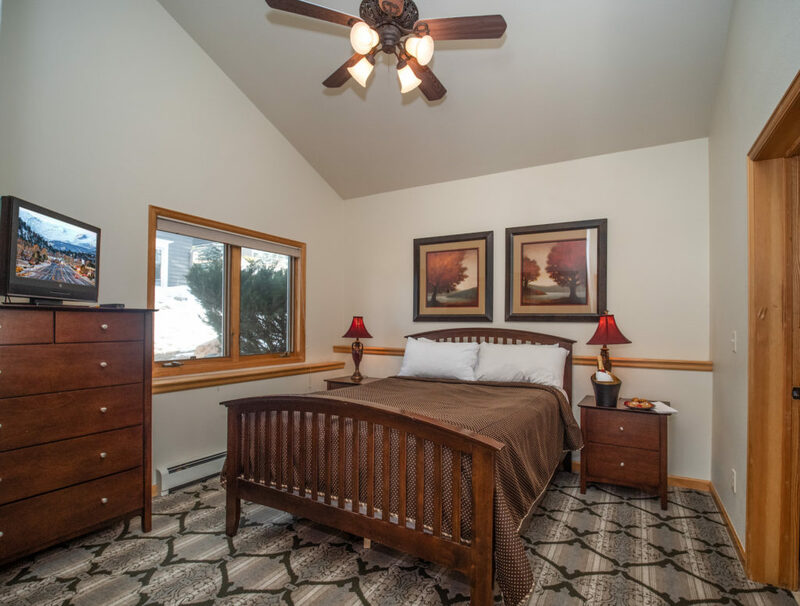 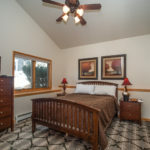 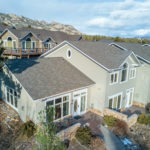 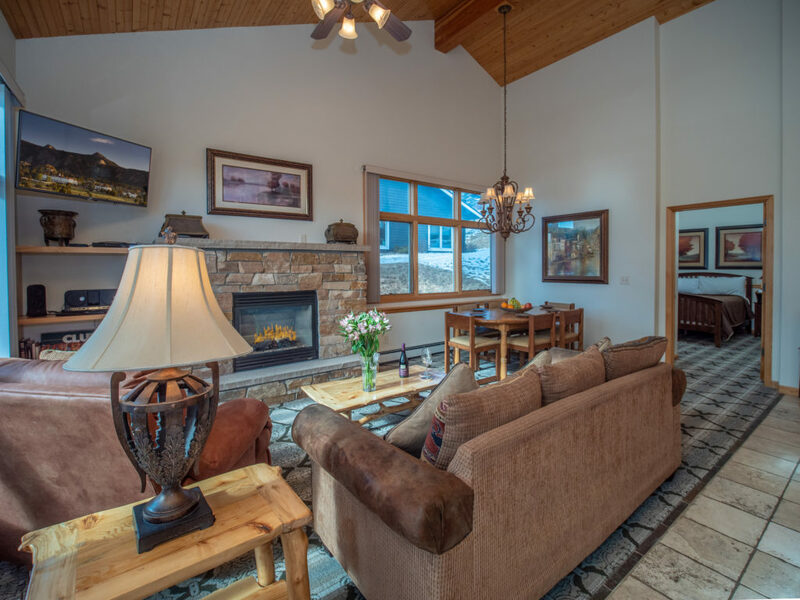 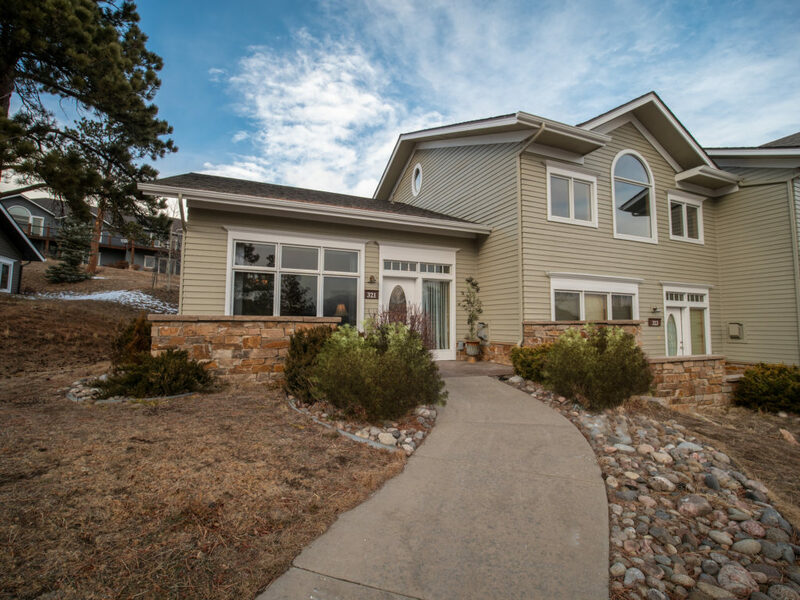 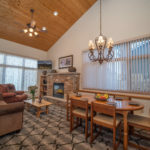 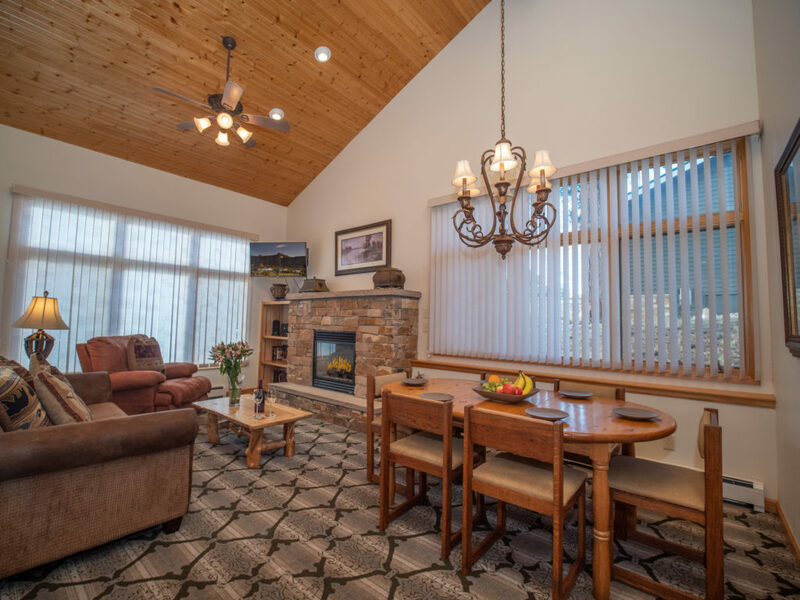 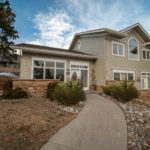 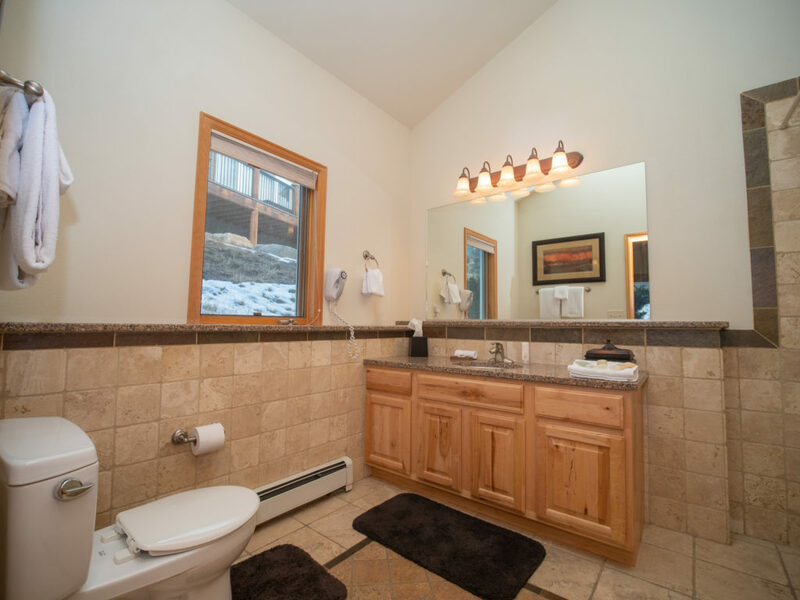 Enjoy relaxing on the couch and watching TV, while staying warm right in front of the fireplace, all with a view of the Rocky Mountains right out the three large front windows. 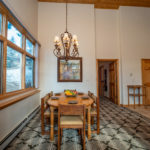 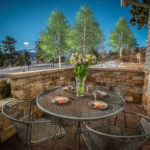 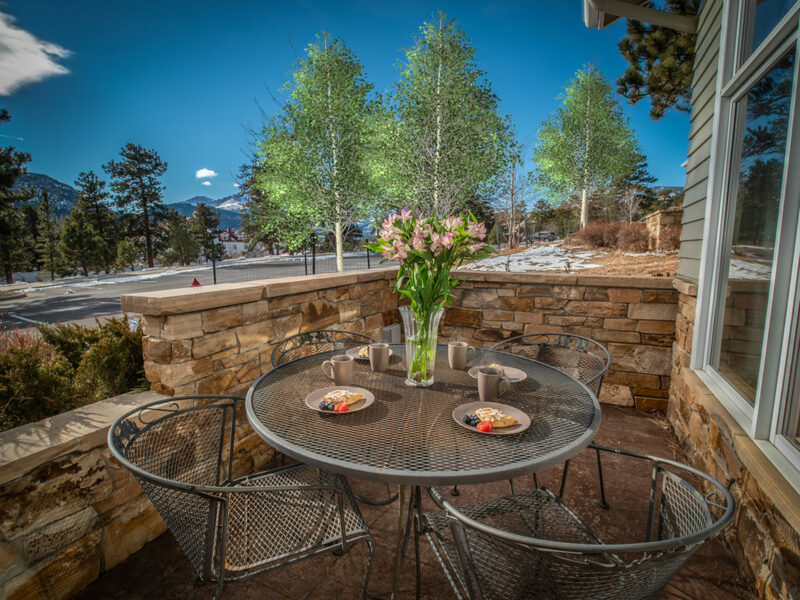 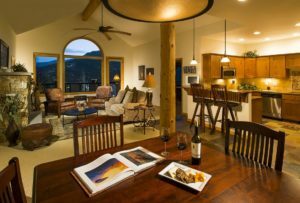 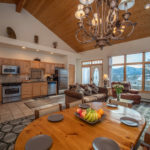 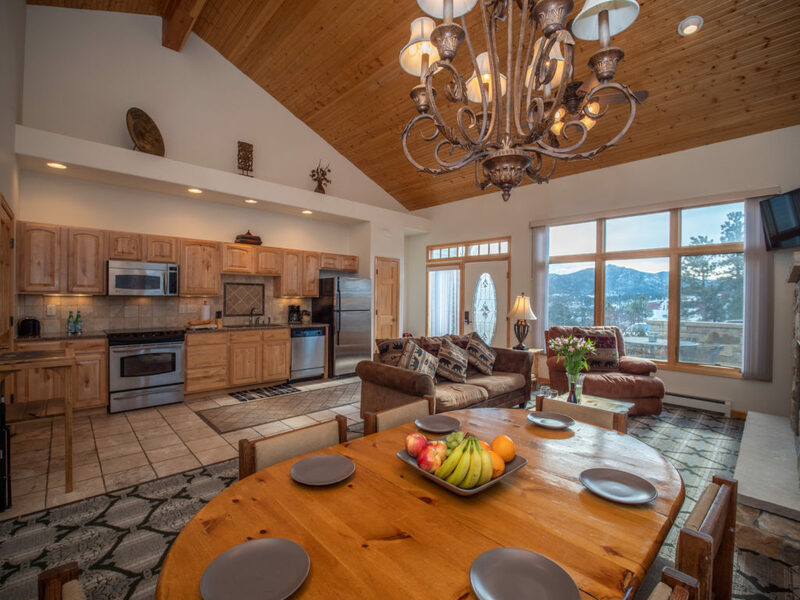 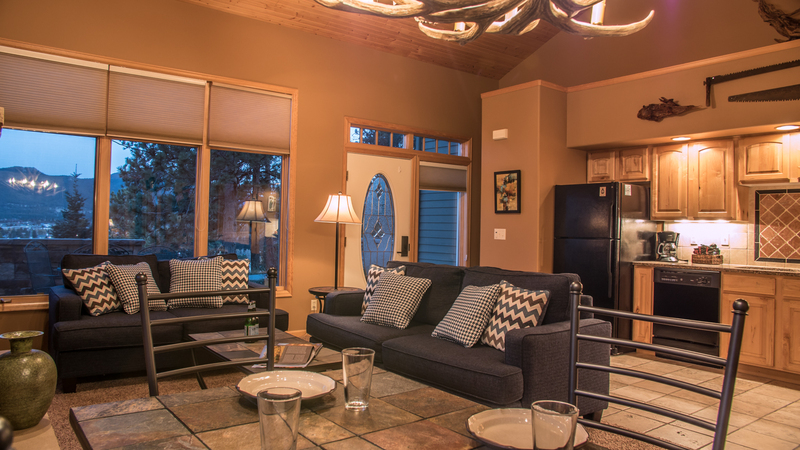 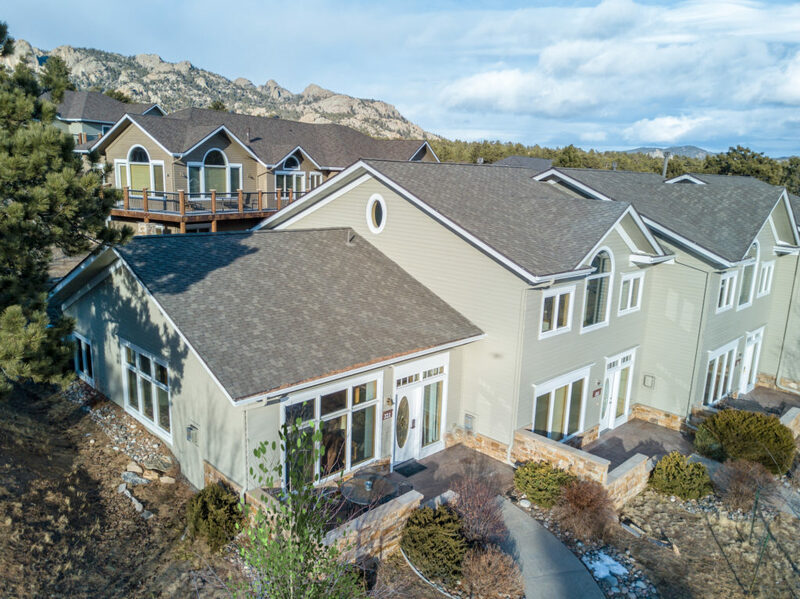 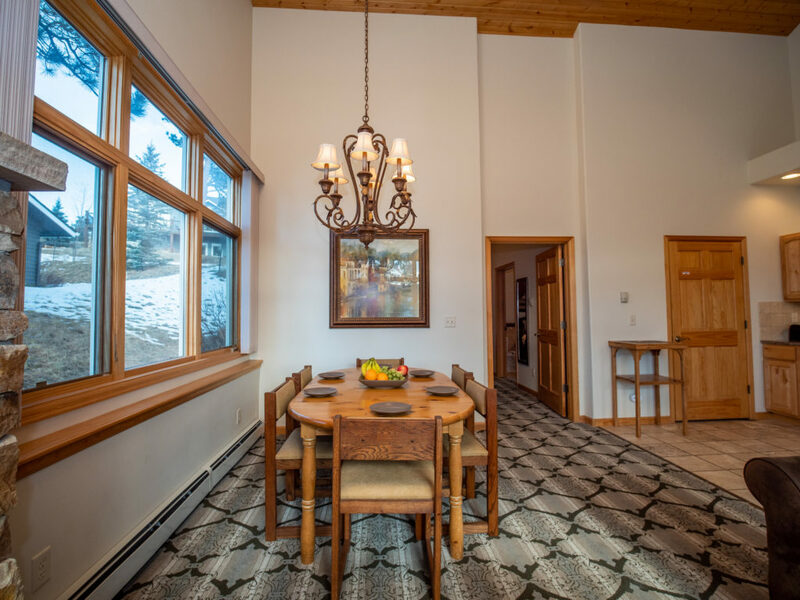 With a full kitchen and dining table you can choose to stay inside, visit Cascades at The Stanley Hotel, or dine at any of Estes Park’s fine restaurants.